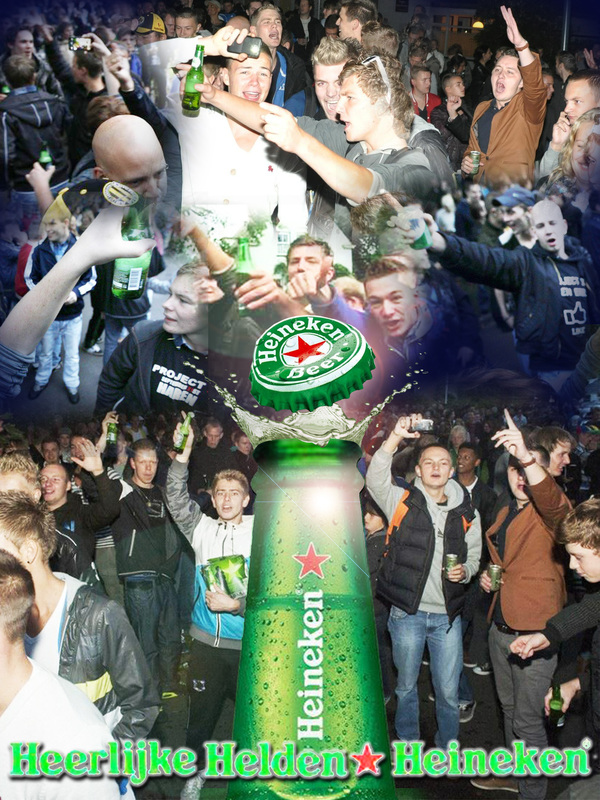 Remix van internet foto’s van de rellen te Haren met een focus op Heineken Bier. 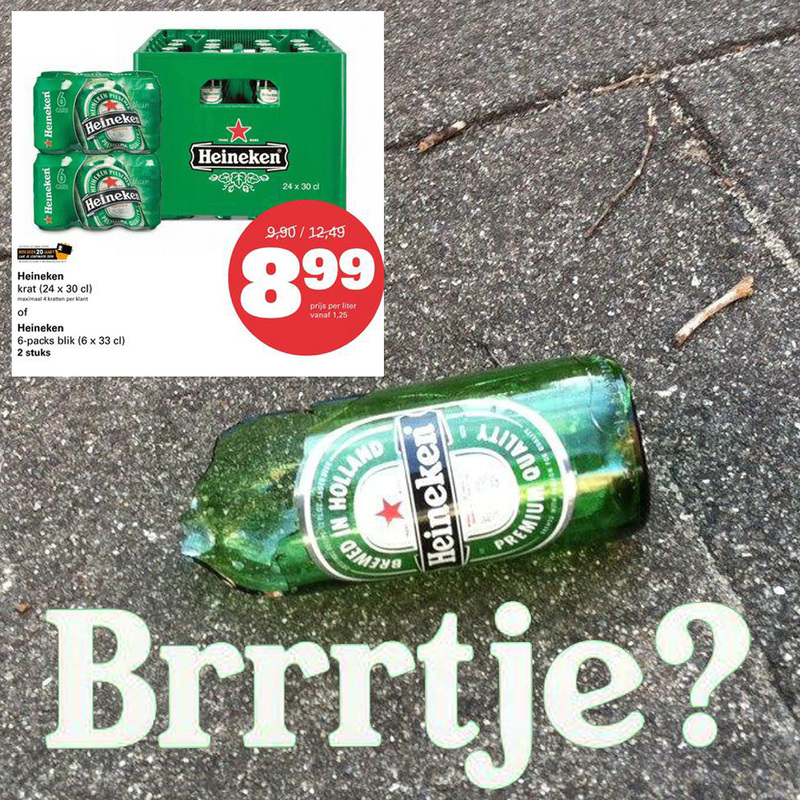 “Haaa Lekker Feestje Bouwen” is een terugkerend thema van Heineken bieradvertenties en reclamespotjes… het zijn de nauwelijks ‘verborgen verleiders‘ van de super bier magnaat die alles wat de massa tot bier drinken kan aanzetten omarmt in een nooit eindigende dorst naar winst. Van festivalterrein, tot voetbalveld, van concertzaal tot feesttent, van jongeren camping tot illegaal zuipkot, bier brengt het door Heineken gevisualiseerde plezier binnen een ieders hand- en mondbereik en zo gaat alles aan de rol en wordt een samenscholing dol. de boodschap is even klaar en helder als het dorstlessend en baldadigend vocht van s’werelds grootste brouwer, die nu ook – zo lees ik vandaag – de Aziatische biertijger gaat bijtanken. 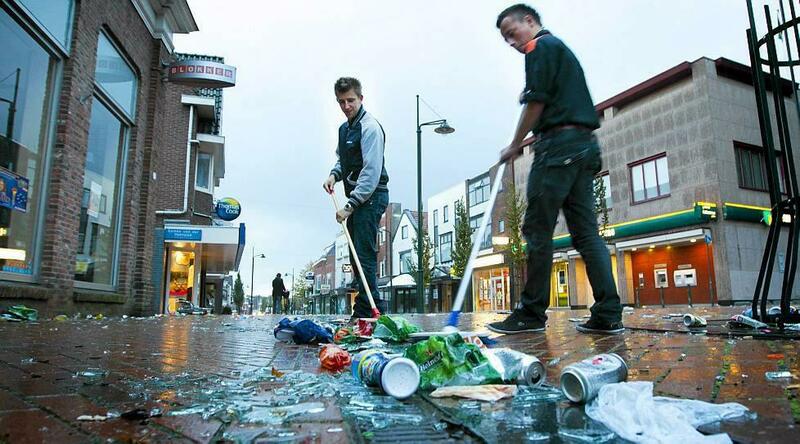 Het gaat niet zo zeer om Facebook-Vandalen, maar om Heineken-Helden en dat laatste onderzoeken is als dreggen in diep en troebel water. Toch eens uitrekenen wat nu de opbrengst aan accijnzen op dat Heineken Bier is voor de staat en of een paar procent daarvan niet voldoende is om een ‘Nationaal Bierrel Peloton’ modern uit te rusten voor directe inzetbaarheid. We hebben nog zeker vijf gevechtshelicopters van het type Apache die niet langer nodig zijn in Afghanistan, die kunnen dan als helpende engelen op al de dorpsbrinken in Nederland waar de plaatselijke dienders het niet aan durven, standtepee bijspringen…. (*) Of heeft de Harense burger-opruimploeg de volgende dag de achtergelaten flesjes en blikjes geteld? Zo ja, dat is dan alvast een stukje statistiek voor de onderzoekscommissie van Facebook-specialist Job Cohen, om niet enkel naar de invloed van de ‘sociale media’ te speuren. The unseen participant is Trenton Oldfield who swam into the line of rowing boats during the yearly river Thames Oxford/Cambridge rowing competition on April the 7th this year and caused quiet a stir with his non-violent direct action. The Diamond Jubilee Flotilla of today would have been yet another excellent occasion for his daring protest swimming, but I failed to spot him in the live coverage by the BBC, yet in my mind’s eye I saw him courageously crossing the path of the ‘ship of state of the United Kingdom’… I am sure that Trenton Oldfield has been put under special surveillance during this River Thames event preventing him from participating. Apart from waving and cheering, the audience at such events is supposed to be not involved in the action. I had made – in the beginning of April this year – a note of his personal web pages with his extensive somehow confused ‘manifesto’ “Elitism Leads To Tyranny” on the server of squarespace with the URL http://elitismleadstotyranny.squarespace.com/ , but his site had disappeared. If this is because of his own will or that of others, I can not tell. So, because I had neatly documented his ‘manifesto’ web blog (posted before his action on April the 7th 2012), I can reproduce the full text hereby for posterity. It does not mean that I do fully agree with his way of arguing, but as someone who has studied and documented ‘social movements and direct action’ for decades, I try to understand how someone choses a ‘social issue’, reasons his or her intervention, and what are the reactions. Trenton Oldfiled, worked in the tradition of the British ‘suffragette’ movement. The use of his own bare body as a weapon during an elite sport event, links to an historic action back in the year 1913 by the British suffragette Emily Wilding Davison, who threw herself during a Derby attended by the King before the king’s horse, an action that toppled the horse and the jockey and hurt herself so much that she died of the wounds. “DEEDS NOT WORDS” was the slogan of that time of the militant fighters for equal rights of women. Trenton Oldfield does make a direct reference to the historical – catastrophic – action by Emily Wilding Davidson, he fails – though – to make a good analysis of the different meanings of that action at that time (*) and links it in too few words with the practice of what he calls “anti-imperialism activists and guerrillas” and the sabotage survival tactics of “trans-Atlantic slaves.” Nevertheless Trenton Oldfield was on my mind today and others may have had similar associations seeing the royal pomp of the Brits and thinking about what social realities are hidden by such spectacles and how someone swimming in the pathway of a Royal Flotilla would have been a refreshing addition. 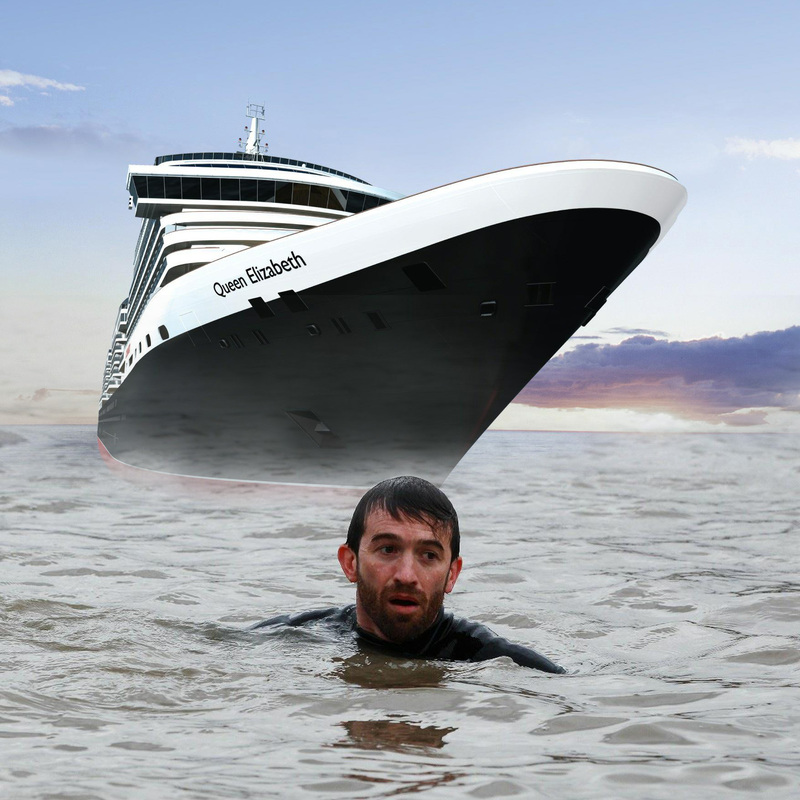 That is why I choose this day to republish his somehow clumsy manifesto to honour the River Thames Swimmer Activist of the year 2012. To enclose and to enslave requires the audacity, cunning and daring to take advantage of our natural kindness, our belief in others, our respect for authority, our desire to please, and our apprehension about ‘causing waves’, our hope for all to have a better life, somehow. It also depends on our disbelief, despite having experienced it, that other people would purposefully set out to harm us for their own advantage. 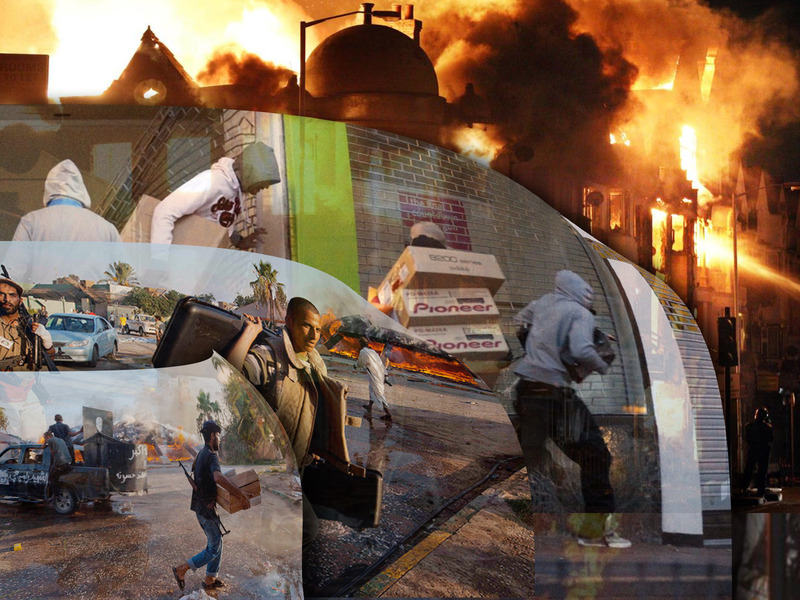 More recently we have also been encouraged, though the evidence displays the opposite much of the time, that a whole raft of institutions exists that work to prevent human catastrophes like our right to protest being denied, detention without trial or charge, the monopolisation of industries, and essentials like food and water. These institutions were established to prevent slavery, genocide, indentured labour and groupings of indices of deprivation and poverty from occurring. It is likely many in the western Baby Boomers generation (large percentage of the UK population), who have benefited so much from these institutions, are finding it very difficult to consider that these institutions might now be turning against them, their children and their grandchildren? · If you ride a bike and it’s difficult to find somewhere to lock your bike (as bike racks are taken away), can you lock it the one of the corporate bikes which now litter our streets everywhere? 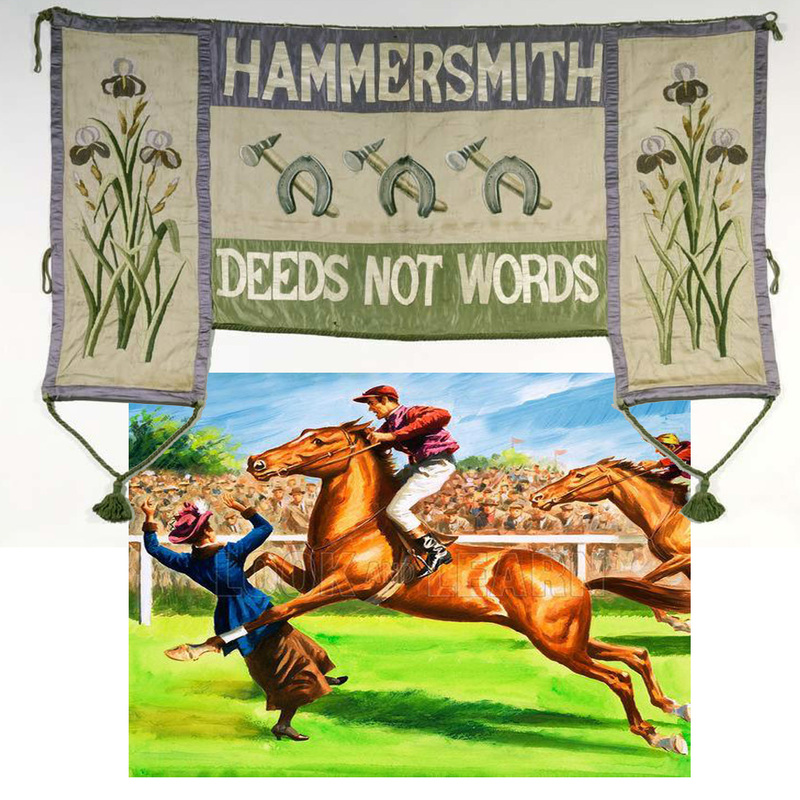 A 1911-1912 typical banner of the British suffragette movement with the action paradigm “DEED NOT WORDS” and a later depiction of the action of Emily Davidson throwing herself before the King’s racing horse. – The Women’s Suffrage Movement: A Reference Guide, 1866-1928 By Elizabeth Crawford has many references on the complicated history of Emily Wilding Davison and several pages can be read on line via GoogleBooks. – Another good source is “A Suffrage Reader: Charting Directions in British Suffrage History By Joan Ryan, Laura Ugolini, also available on GoogleBooks. 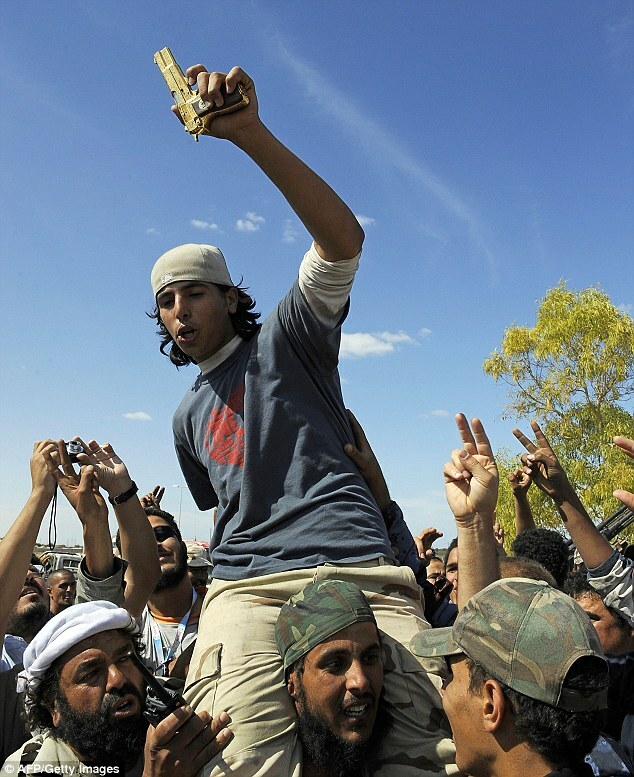 Who will be responsible for the ‘de-gaddafization’ of Libya? How anybody can protect civilians by throwing bombs from the air? 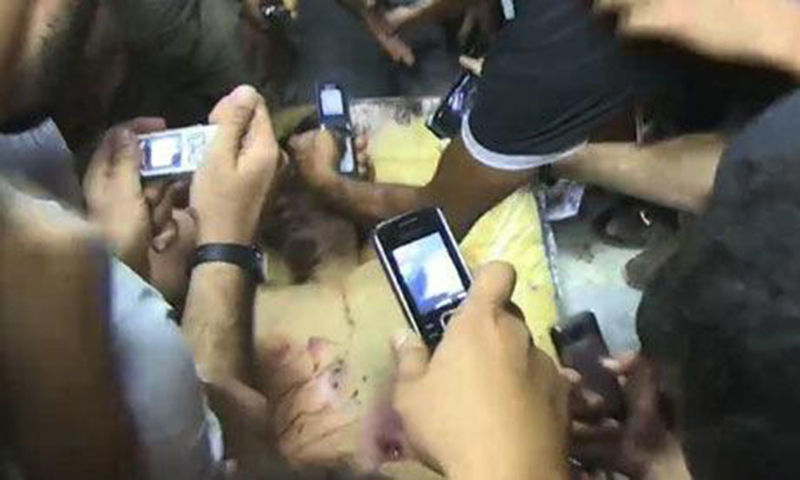 When we find the sight of the mutilated body of Gaddafi on show in a freezer of a butcher store appalling, what about the multiplication of the principle – now in Libya – on the backstage of global news? Which accounts are settled in the shadow? Who gets hold of whom for what, in a situation without rule of law? What has been the example given by the Alliance forces dropping explosives from the air, not bringing members of the contested regime to justice, but to punish them on the spot by attempted annihilation? When it is true that a fleeing or escaping convoy of Gaddafi has been attacked by NATO airplanes with their deadly load just outside of Sirte, why to muddle about the subsequent lynching that seems to have taken place? NATO tried to lynch from the air, long distance and ‘high tech’, opposition forces finished the job by hand on the ground. Who will hold out her or his phone camera to document the revenge between civilians triggered by such examples, raging now in Libya? It is sufficient to have read the recent report of Amnesty International “LIBYA: THE BATTLE FOR LIBYA: KILLINGS, DISAPPEARANCES AND TORTURE” published on September 13. 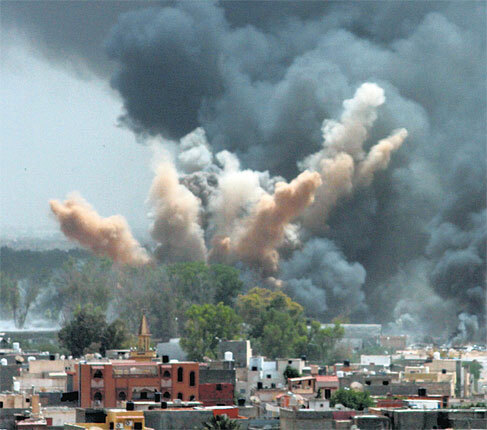 2011, to know that the perpetration of violence was/is not only a monopoly of the Gaddafi regime in Libya, but has entered the veins and bloodstream of this society. These are the days of the ‘little axes’, in so many hands, falling down on so many heads… How dare heads of state – like Sarkozy – speak through broadcasts to the Libyan people, “Its time now for reconciliation” , whereas those that need to be reconciled have been left behind with a collapsed state and hardly any governmental or citizen’s networks to undertake such a huge task of building a civil society and reconcile? Many millions have been wasted on advanced technological military exercises. Nobody wanted to invest in diplomatic and civil campaigns to bring about regime change. The nazi regime lasted a mere twelve years and ‘de-nazification’ several decades. We Europeans have not been able to stop the wild enforced regime change by an outsider high technology military force. NATO has been send in, paid by our tax money. What has been sold to us by Aljazeera and the like as a ‘people’s revolution’ may in the end well have mutated into a ‘coup d’état’ where the top have been toppled, but the echelons just below it remain in control. Who then will be responsible for the ‘de-gaddafization’ of Libya? This is certainly not a task for generals and their milieu of the military industrial-complex, it is not something NATO is good at and still we Europeans lay the solving of humanitarian crisis in the hands of the military allowing the derivation from ‘problem solving’ into ‘problem making’. It is sad that in times where ‘development aid’ and ‘humanitarian aid’ is discredited by many politicians, and scratched off the budget in many EEC countries, that military investments in missions like the one in Libya are well supported by the same representatives, we all have voted into our parliaments. There are even – recently – several examples of military missions paid for by budgets earmarked for development aid. Don’t we need new institutions, or at least a radical reformatting of the tasks of big organisations like NATO to try out other methods of human protection and appeasement? For a short moment only. Property remains the fundament of societies through all times. Ownership resurfaces like a phoenix from fire.